A BIG, "Well done" to our Japanese friends for submitting this video. 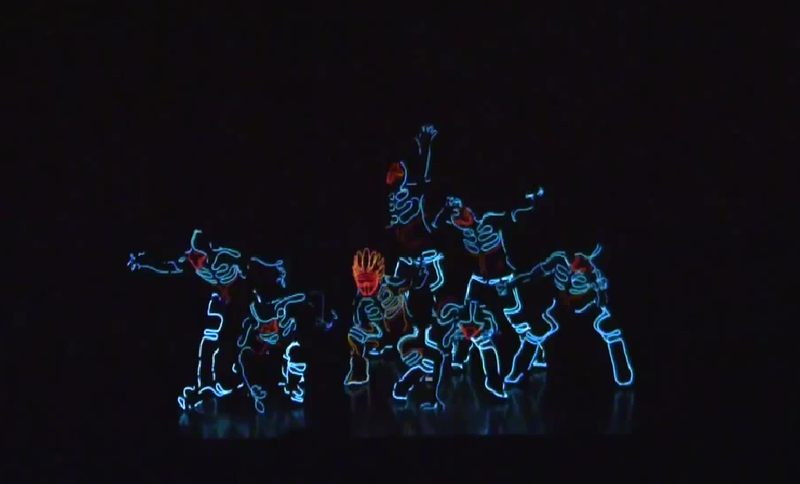 Great dancing and spectacular sequencing make this a sure-to-be million view video on YouTube. Each costume in the video is 2.6mm EL Wire and driven by two battery packs, one for the torso, and the other for the legs. The sequencing effects are all custom made sequences that all work from a DMX-512 output. The scenes are preset and can be "fired" on cue from a 3rd party behind the scenes. These scenes can be programmed individually, or together as you see in the video. 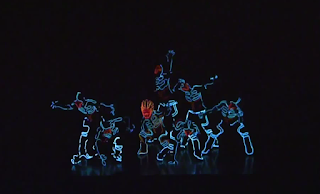 For more helpful hints and tips on EL Wire Costumes, visit Ellumiglow.com.